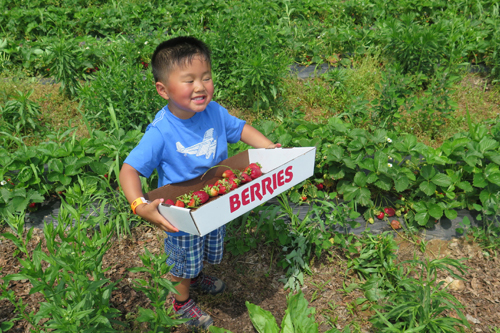 One of my favorite things to do when the weather turns warm is taking my kids fruit picking. Yes, it gets hot. Yes, there are bugs flying around. Yes, it involves manual labor. But when you bite into that plump, perfectly ripe strawberry, blackberry, peach, fuji apple, and the list goes on, your mouth fills with such sweet and juicy goodness that it’s well worth the effort. 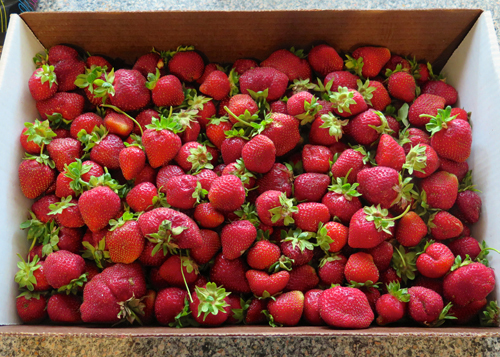 A couple of weeks ago, my friend reminded me that we were in prime strawberry picking season, so I took Taylor over to Great County Farms in Virginia to go strawberry picking. 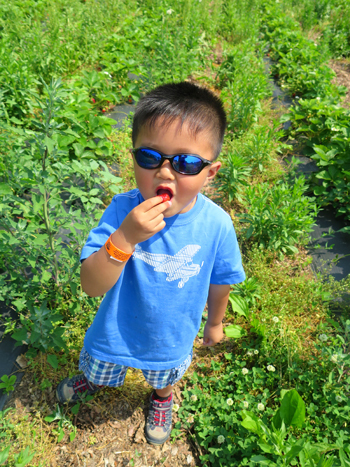 For those of you in the Washington, DC metropolitan area, Great Country Farms is one of those jewels that I feel all parents should know about. They have everything that kids love and then some: playgrounds, farm animals, giant slides, a giant jumping pillow, and much more. They also grow fruits and vegetables, and during late spring, summer and fall, it’s a great place to pick your own fresh produce. Last year when I took the kids, the strawberries were all on the smaller side, but this year, they were plump and gorgeous! 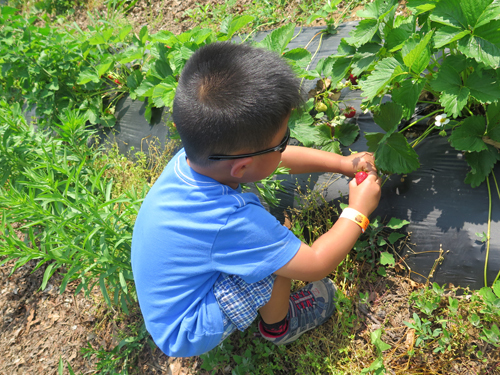 I also noticed that this year Taylor was much more amenable to walking through the weeds and vines to get to the strawberries, and very independent as he went around and picked his own. We were in the fields for about 30 minutes, and he didn’t shed any tears at all — no complaining about the scratchy weeds, and no tripping resulting in superficial boo-boos. If anything, he was just plain happy the whole time because the strawberries were crazy delicious. A good number of strawberries he picked ended up in his belly before we got back on the wagon (you can tell he’s kid number two, as I’m not nearly as dirt and germ phobic as I was with my oldest). When we got home, I decided to explore Start with a Book’s What’s Cooking section to see what they had. I browsed around and Cook-a-Doodle-Doo caught my eye, which I then proceeded to put on hold at my local library. I also looked at the other resources in the What’s Cooking section, and saw a number of recommended websites, including two that are full of kid-friendly recipe ideas: PBS Parents' Kitchen Explorers and Spatulatta: Cooking 4 Kids Online! It turns out Cook-a-Doodle-Doo is a great starter cookbook for little bakers. It plays off the classic story, The Little Red Hen, and cleverly walks its reader through the process of reading a recipe, understanding basic baking terminology, and ending with a strawberry shortcake recipe. This book is good for Kindergarteners and up, as Addie enjoyed it, but was too lengthy for Taylor, my 3 year old. I always have good intentions of wanting to cook and bake with my kids, but the reality is baking with young kids is stressful for me. There’s all sorts of things they can spill: milk, sugar, flour. There’s all sorts of glass measuring cups and glass bowls that they can drop and shatter. There’s eggs that they can drop on the floor. The list goes on … (and if you don’t feel this way about baking with your kids, bless your heart, but for me baking with my kids without tensing up is a work in progress). I don’t multi-task these two things very well: trying out a new recipe and making sure my kids feel like they’re the ones making it (as opposed to me taking over… not that I ever do that…). I don’t handle baking failures well. In other words, if I try out a recipe for the first time but in the chaos of my kids and I trying to figure things out we screw up a few things, and the strawberry shortcake does not turn out yummy, I’ll be upset. I’ll be frustrated we spent time making something that doesn’t taste good, and I’ll be disappointed that we wasted our handpicked strawberries. I know — these are all my issues, not my kids’ issues. All Addie wanted to do was bake. So I proposed a compromise to her. How about we bake something I’ve baked many times before, rather than try out a brand new recipe? Thankfully, she agreed, and I pulled out a recipe Addie had shared with me from her May 2015 Highlights magazine (a children’s magazine): strawberries and cream quick bread. By the way, you can probably tell that I’m somewhat of a novice baker based on my recipe selection. But some of the very best recipes are the simple ones, as this one is. Another plus about this recipe is that it flexes well with ingredient substitutes. It works great with bananas instead of strawberries, and I’m going to guess that a blueberry and lemon zest combination would be fantastic too. Because I had made this recipe a number of times already, I felt much more relaxed going into the baking process with my kids. I made sure I had all the ingredients pulled out (just like Cook-a-Doodle-Doo recommended), and ingredients chopped and ready to go (the strawberries and walnuts). 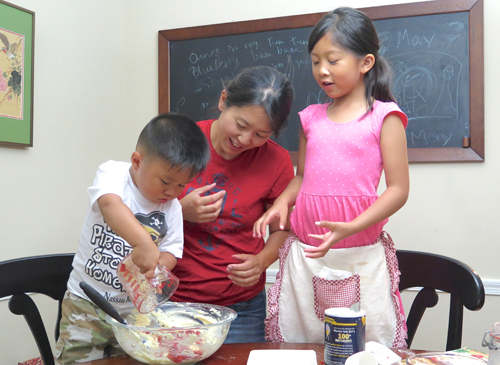 The kids had a lot of fun taking turns pouring in the ingredients, and helping to mix everything all up. The strawberries and cream quick bread turned out fabulous (as it always does), and we enjoyed it for breakfast the following day. 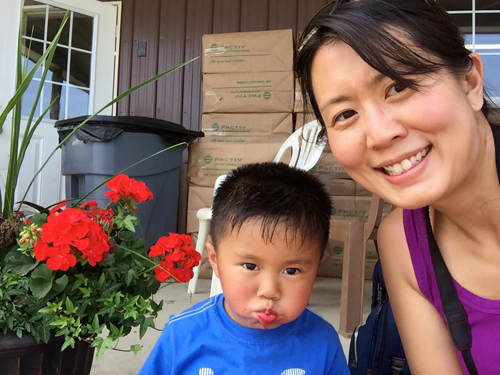 Going fruit picking, followed by cooking or baking with those very ingredients you handpicked is such a satisfying farm-to table-food exploration you can have with your kids. In addition to Great Country Farms, other places I’ve tried and would recommend for picking fresh fruit are Larriland Farms in Maryland and Marker Miller Orchards in Virginia. Be sure to check their websites before heading over to know what’s available for picking, as that changes from week to week. 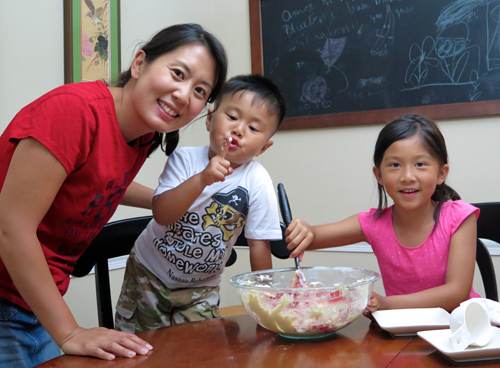 If cooking or baking with your kids is somewhat intimidating, start with a simple recipe like a fruit smoothie. Just like anything, practice makes perfect, and before you know it, you just might be comfortable baking lasagna from scratch with your kids. Each time I visit a Start with a Book topic, I just barely scratch the surface when it comes to exploring that topic. There’s so much more that I want to explore on the topic of food, like helping my kids understand where their food comes from, understanding the importance of healthy eating habits, learning about food from other cultures, and so forth. 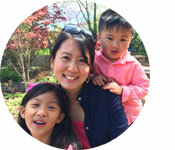 Here’s to ongoing Start with a Book explorations with our kids all summer long, and beyond.